Enjoy a bite to eat or a drink at Marco's New York Italian, the restaurant owned by world renowned chef Marco Pierre White. After lunch, treat yourself to a stroll through London's fashionable Bloomsbury district and shop 'til you drop. The hotel is within close proximity to travel links, including both Holborn and Russell Square tube stations, as well as Euston mainline station and Kings Cross St Pancras for the Eurostar. Experience our stylish restaurant open 7 days a week for lunch and dinner. Ok nothing special room was near a noisy ventilation system as a club member I was a bit disappointed with the allocation and will be reviewing my future bookings with you. The &quot;double&quot; bed was the smallest I have ever slept in and very uncomfortable, way too soft. The wheels on the bed frame also meant we could sit up and lean against the headboard as the bed would drift away from the wall. When I first checked in a asked for a room change as the bed was too small. The receptionist did move us with out question, but to a room that was actually smaller and with a bed of the same size. I gave up. I will return to London (I travel a.lot for work and pleasure) but I will not be returning to a Mercure hotel. Above average, I stay in hotels weekly. Your hotel was exactly what it said on the run. There was no wow factor. I was satisfied with my stay, met expectations but did not exceed. Fantastic experience hotel very clean. We stayed to celebrate my friends 50 birthday staff left chocolates, crisps and wine in our room when we arrived with lovely note. If we are in London again we would stay again and recommend to friends. Our room and bathroom were immaculate, the reception staff very helpful and efficient. We did find our room a little cold at 19 degrees C, though some guests would be happy with that. There is a bus stop right outside; Euston, St Pancras and Kings Cross stations close by; the British Museum just a bus stop away: all very convenient. As above. We were woken at 5-30am by a drunk trying to get into our room and then lots of people running around making lots of noise, a party in the next room and went on till 7am. No policing from the Hotel on noise or late nighters coming back. When leaving the hotel, we weren't asked how our stay was. In general it was very good, my room was not on the side of the main street so I could sleep very well, the bed and cleaning when I arrived was very good, I have some doubts on the next days, because except for the bed, it seems that they cannot move anything even things from the hotel that fell down and then it seems they do not pass the vacuum cleaner in all. Reception service was more than PERFECT. Breakfast very good! Unfortunately, I have a very bad point for you, I forgot my adapter to connect my electronics, I came bak to your hotel, around 3 hrs I checked out, and the adapter was already &quot;stolen&quot; sorry I do not find other word. So could be good to reinforce, emphasize to the people who clean that any small thing they find they must deliver to the reception... even if the value is not so high for me was important as part of my travel, and I have to come back so I need to buy another one. I am agree if I lose it in the street, if I forgot in a public place, but in a hotel, I trust you can keep it and if the owners do not appear soon then you can throw it out. Even if you see something important you might call. So just that, I have to book again in your hotel because it is convenient for my business trip but I will pay more attention. Nice, clean room and friendly maid and door-man. A shame that front-desk staffs were not as friendly and welcoming as the maid and door-man. First, the general cleanliness of the hotel was rather mediocre in the room. There was no specific item we felt was a problem instead it was the general housekeeping condition and standard. Second and more concerning, it was the rather staggering attitude of you front desk staff member. There were 2 plastic cups in the room and while one was collected we merely called and asked for a replacement. It happened in the late evening on 1 April. We were demanded to go downstairs, which was already quite unusual in a hotel or such calibre. We felt quite offended by the response by the male staff who refused to offer any solution and confronted us that there was nothing he could do. We stayed one night in April. The room was quiet and well-appointed. It was great to be able to open the window. The bathroom floor was heated, which was an unexpected bonus. The bds were comfortable. 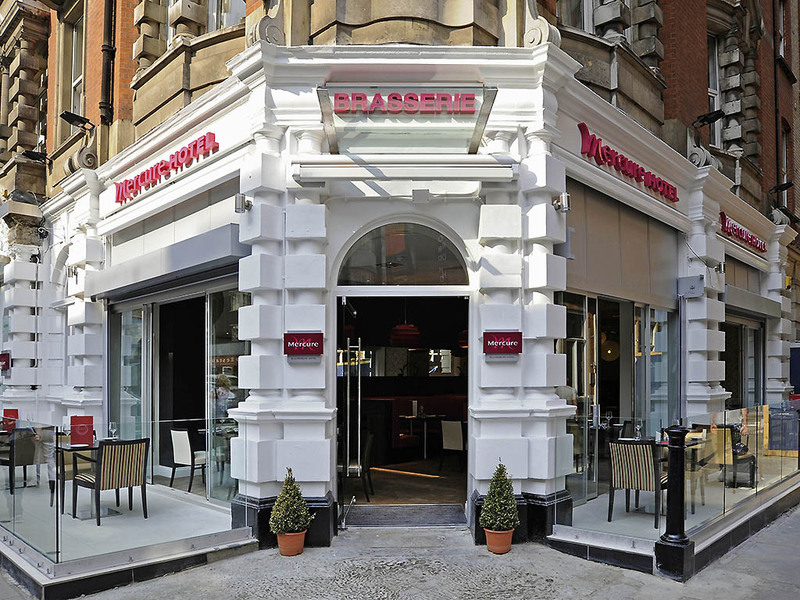 The location is excellent – within walking distance of the West end and Covent Garden. One blip – no black tea in the complimentary beverage range. Overall, recommended. As previously lovely hotel great facilities staff helpful and very warming. I would give my rate experience at 10 if not one problem - we made reservation for a standard room with 1 double bed for almost 2 weeks, but when we checked in we were given a small standard room, and describing it as a small would be understatement. Fortunately few days later we were our room but only after we complaint about.